Parrafin Wax is a colourless and flammable oil/wax obtained in the distilling of petroleum. D&L Paraffin Wax is often used as a material for modelling and in wash-resist techniques such as batik, either as a substitute for bees wax, or as a supplement to it. 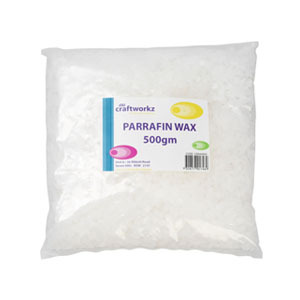 Paraffin Wax can also be used in encaustic and candlemaking.